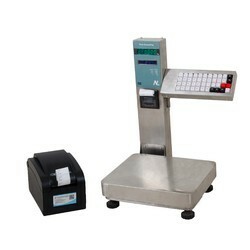 Our product range includes a wide range of automatic weighing scales and hanging weighing scales. We offer precision engineered Automatic Weighing Scales which has 230v 50hz operating supply voltage and 6V in-built battery backup. It has auto zero & full capacity tare function and counting facility can be incorporated on demand. On the front panel the weighing scale comprises of a bright LED display.